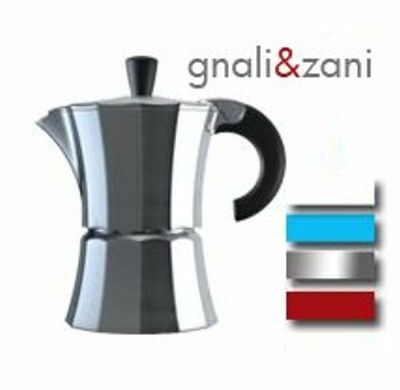 The Morosina Color by Gnali & Zani is a beautifully designed, Italian made stovetop espresso maker offered in a wonderful selection of colors to accent any home decor. This version of the Morosina features graceful lines and heavy-walled aluminum construction with powder-coated exterior (except for the aluminum color). Brew rich, delicious coffee right at home just like they have in Italy for decades. 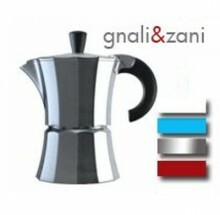 sizes based on 1-1/2 ounce "cups"
Click the button below to add the Gnali Zani Morosina Express Espresso Makers 6 cup to your wish list.